WOW!, this race looks very cool! If it were in late June or July, I would be there. It is just hard time of year to travel. Anyone have any extra frequent flyer miles? Two of my friend have already signed up. If it were in Colorado, I would already be signed up. Check this our, 50 miles with over 11,000 ft. of elevation gain. The course description’s title is “THIS RUN IS VERY HARD”, and states that “It is an advanced degree run for experienced ultra-runners” It also adds a “We’re not kidding” at the end. Sounds like my kind of race. And check out that . . . 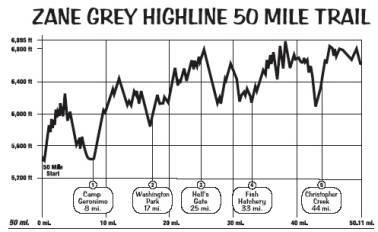 Regarded as the toughest, roughest and most beautiful 50 mile trail runs in the country. 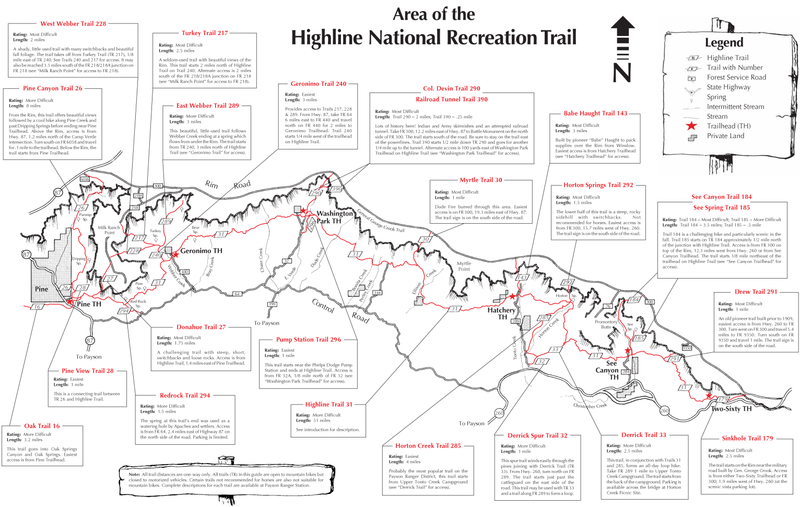 It runs point-to-point along the Highline trail from Pine to Christopher Creek, Arizona. The trail, which lies entirely in the Tonto National Forest and runs from just south of Pine, AZ. to several miles east of the town of Christopher Creek, was designated a National Recreation Trail in 1979. The Forest Service and many volunteers including several runners have worked countless hours over the years to restore, maintain, clear and mark this scenic and historic trail.